Fig.1. 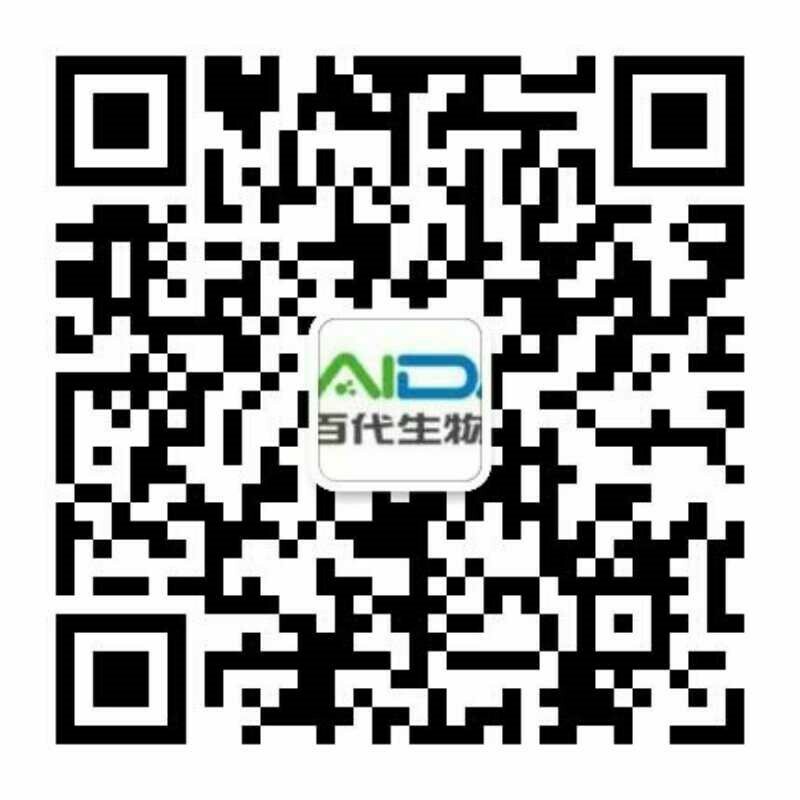 Superior knockdown with RFectPM transfection reagent on difficult transfection primary cells. 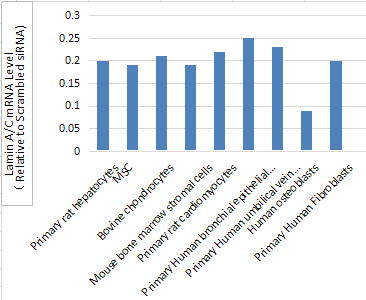 Different primary cells were transfected with scrambled or Lamin A/C siRNA (final concentration: 10nM) using RFectPM .In this and all the following figures, all the cells are harvested 48 hours after transfection and Lamin A/C knockdown was measured by qRT-PCR. Fig.2. 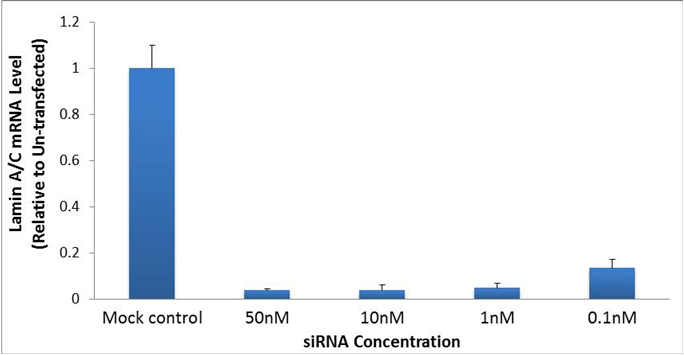 RFectPM transfection reagent offers high level of gene knockdown with low concentration of siRNA. Lamin A/C siRNA-RFectPM transfection complexes were prepared in 96-well plates,and then bovine chondrocytes were added to each well.